Nia Washington is an incredible ballerina. She fought her way up from the streets and was nearing the pinnacle of her profession when an injury and a broken heart derailed her career. Taking a temporary job at an elite boarding school in Connecticut was supposed to give her time to nurse both body and soul. It was supposed to be a safe place to launch a triumphant comeback. It is anything but. Shortly after she arrives at the beautiful lakeside campus, she discovers the body of a murdered student, and her life takes a truly dark turn. It's not long before she is drawn into a dangerous game of cat-and-mouse with a ruthless killer. And Nia isn't the only target. She must use all of her street smarts to protect her dancers, save a wrongfully accused student, and rescue the man she loves. 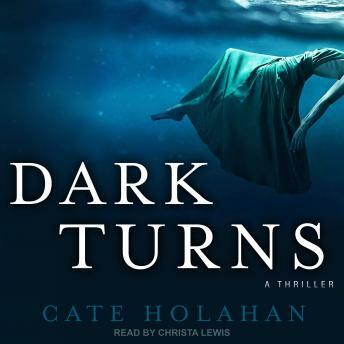 A stunning and suspenseful tale of passion and betrayal, Cate Holahan's Dark Turns will take listeners deep into the mind of a murderer and the woman who must put an end to the killing.